For my birthday my children bought me a new sewing machine. I had been saying for two years that I needed one. I would pass them in the store, see them advertised in a flyer, but do nothing about it. It was an emotional decision. 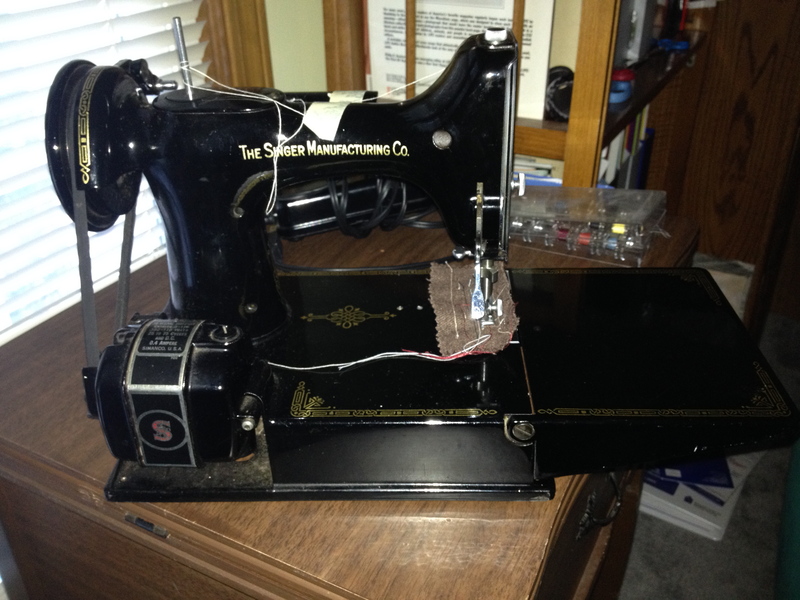 The first sewing machine I used was a 1947 Singer portable that belonged to my Mom and Grandma. It only could make straight lines. In the beginning of my sewing career, it was fine; but as my competence grew, I needed something better. 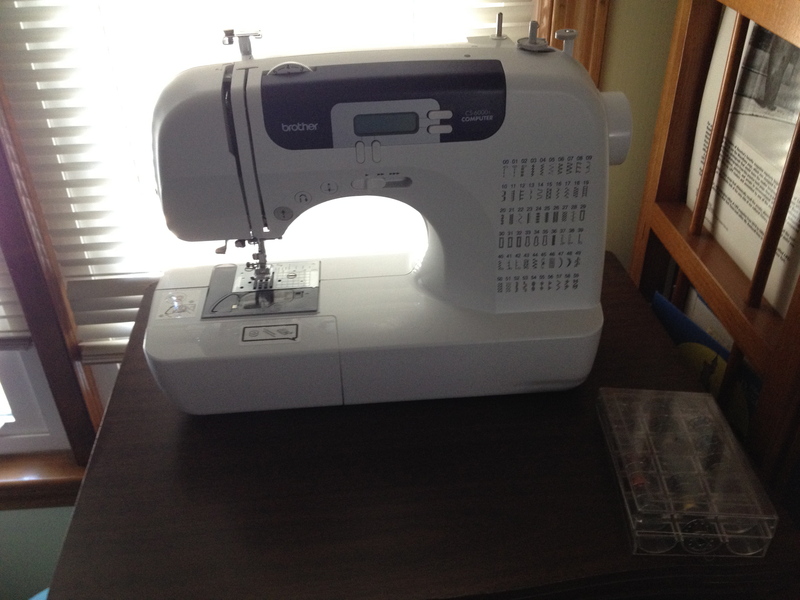 My parents purchased a sewing machine for me as a sweet 16 birthday gift. I was so excited. It even made buttonholes! They also purchased a cabinet, so I could leave the machine out while working on a project. It was the best gift! 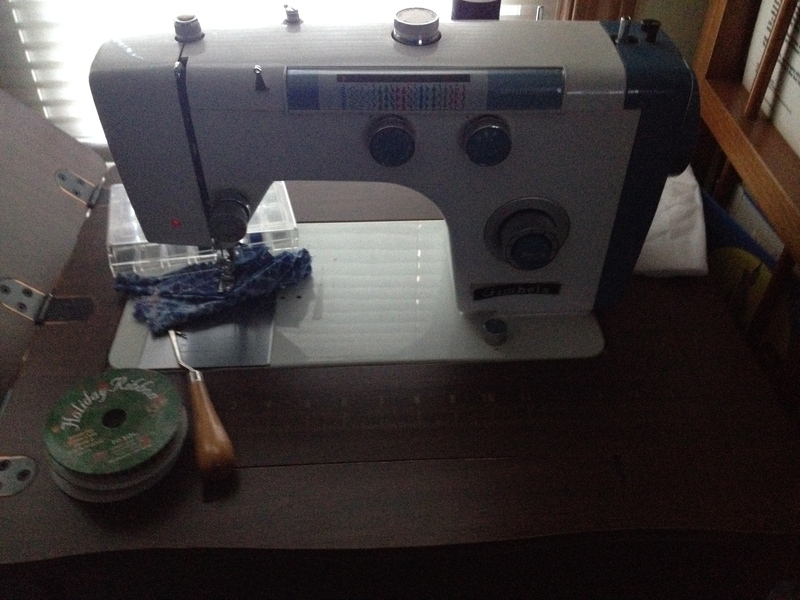 I used this sewing machine to make clothing for my grandma, mom, sister and me. Once I had children, I made clothing and Halloween costumes for them. I made curtains and drapes. I mended clothing. Whenever my parents came to visit, they always had clothes that needed hemming or altering. As the machine aged, my Dad would keep it going for me. Once a year he took the machine apart, oiled every part and then reassembled it. It was the best machine. Then my Dad died. And my machine broke. And I could not sew anymore. I talked about a new machine. But how could I ever replace the one that meant so much for me? It had memories; it held love. I took two sewing classes in high school. I learned to match plaids and design my own patterns. I learned to make special seams and clean, well- sewn garments. The lessons I learned in Mrs. Kilkenny’s sewing classes at North Bergen High School were the most practical. I have used these skills for my entire adult life. My mom and I had a deal, whenever I made an outfit for her or my sister, she would buy me more fabric to make my own clothes. I hated buying store bought clothes. They were never made well enough for my standards. Where were the French seams, the good tight stitches? I hated frayed fabric. So instead, I made prom dresses, pant suits, even the dress I wore for my sister’s wedding. 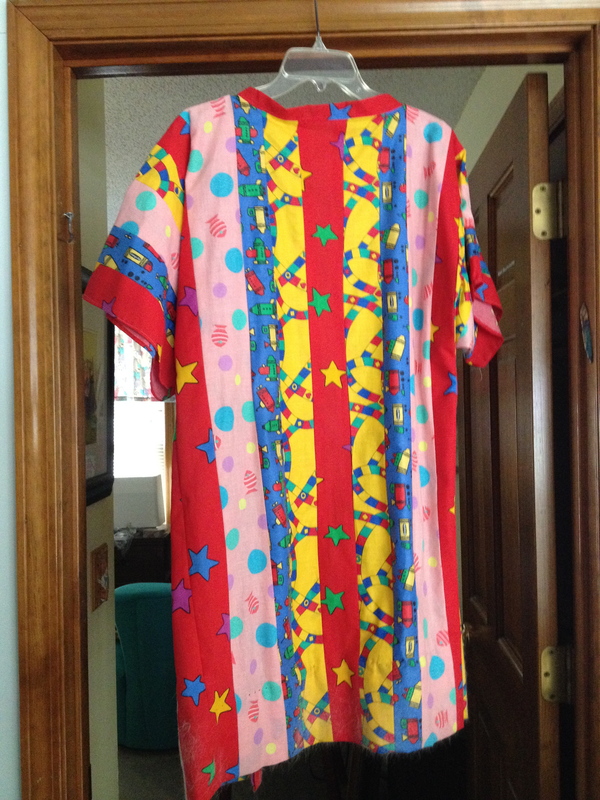 I made dresses for my Grandma Thelma. She had scoliosis as a child in Europe and it was never corrected. So one side of her torso was two inches shorter than other. I made her dresses so that no one ever could tell. I made curtains for my Mom and Grandma. And when I moved into my house, three months pregnant, I made all the curtains and drapes for my home! I was crazed. I understand now I was nesting. But then it was an obsession. And my sewing machine was there for me! I made some of my maternity clothes. But once my children arrived, most of my sewing focused on them. I made dresses for my daughter and costumes for my son. I made projects for their classes. For a long time on the wall of the first grade class was a quilt I put together. I had each child sign their name on a square and quilted it for the teachers. I made reading pillows, as well as, vests for a program. If sewing needed to be done for school, I did it. Then there was my son and daughter and their imagination. My daughter wanted to be gypsy or a princess. My favorite costume for her was the Indian Princess, Tiger Lily, from Peter Pan. She watched the Mary Martin version over and over again. And had to be Tiger Lily. So a costume was created. My son needed to dress up as Pokeman as a dragon or a lizard. I was constantly making new outfits as his imagination soared. When he was four, we took our children to see “Joseph and his Technicolor Dreamcoat.” My son was entranced. He was Joseph. I had to make him a Technicolor Dreamcoat. He wore it all the time!! I have saved that one. There were new curtains for their room to match the changing décor as they aged: purple for my daughter, green for my son. My sewing machine never let me down. The last large project I finished was valances and shades for the basement family room/rec room. I was working on new valances for the family room when my machine broke. When my parents died. But now I have closed up the cabinet that holds my broken machine. And on top of it I have placed my new portable sewing machine that my children got me for my 59th birthday. Now I can sew again. Two sewing machines purchased 43 years apart. But both purchased with love. I am so lucky. such a beautiful Story.. thank you for sharing it…. I took pictures of Starla with the older sewing machine today. I remember the oil can, but I do not have it. It was used many times.